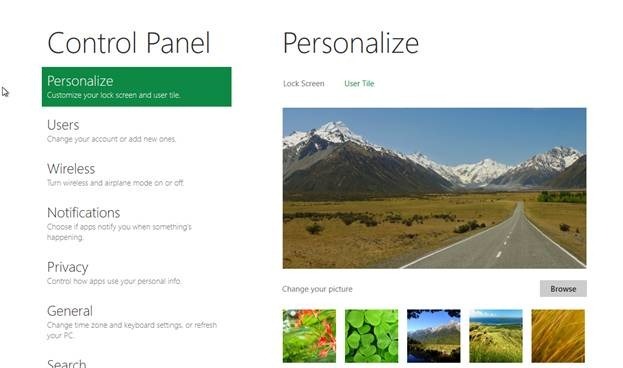 Here are few of the resplendent Windows 8 Screenshots which are the best of breed. 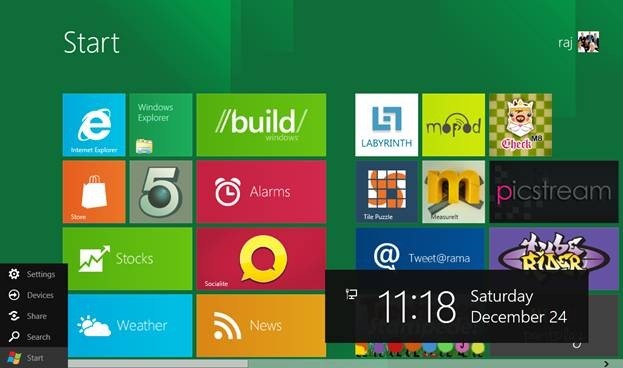 By introducing the Metro UI, Microsoft has given a new definition to Windows user interface. Metro UI is the next generation user interface that will take the user satisfaction to its optimum level. Further, it will optimize the Windows for touch screen environment. You can easily move the tiles from one group to another by dragging and dropping them to the desired group. When a tile is dragged, it becomes transparent so that you can easily see where to drop it. 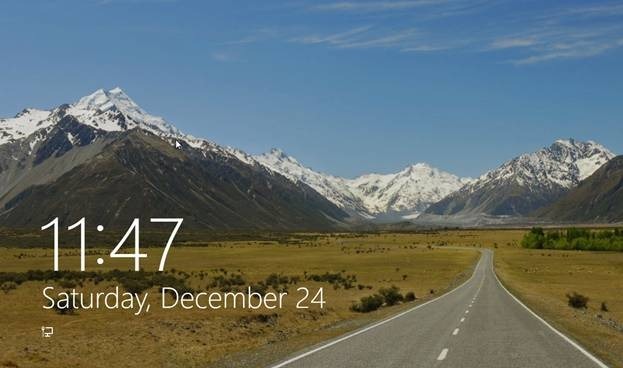 Also check out Windows 8 Picture Password feature reviewed by us. When you move your mouse to the bottom left corner of the Metro UI screen, the start-up menu appears along with a rectangular box on the right side showing the date and time. 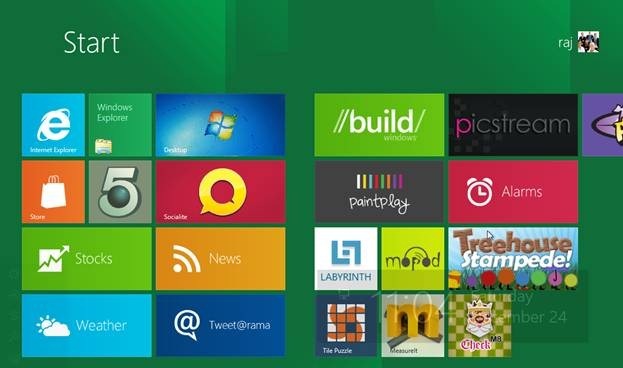 Do not miss to take a look on amazing Windows 8 Wallpapers. 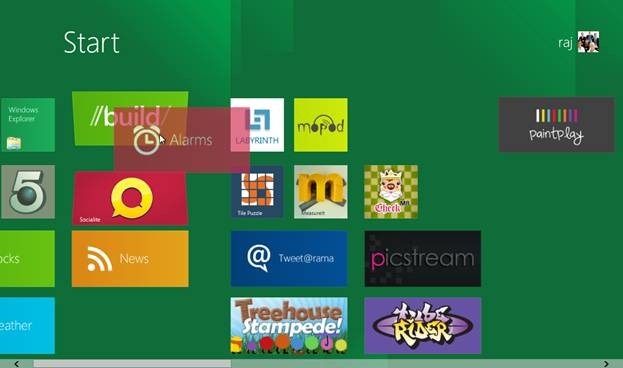 The control panel in Windows 8 is entirely different from that of Windows 7. It carries the Metro UI look and feel with it. The lock screen has some cool backgrounds, and the date & time is displayed while the screen is locked. You can grab the lock screen and slide it upwards to see the login screen below it. 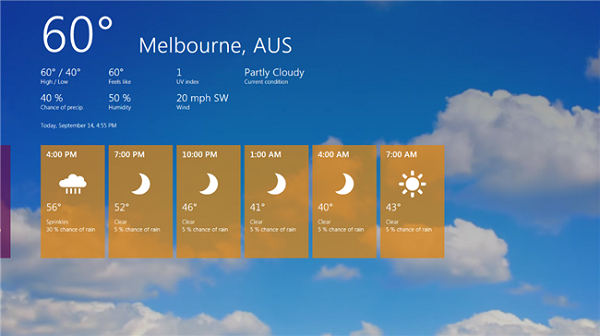 The weather screen shows the weather conditions of the selected location. 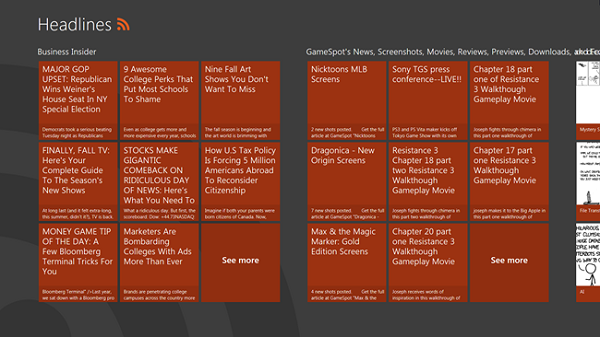 Clicking the headline tile opens the headlines screen where you can see latest headlines.